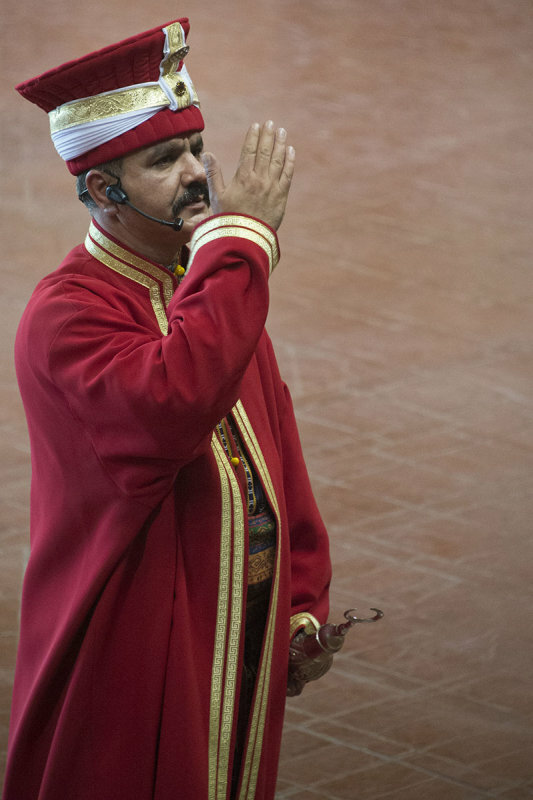 From the museum's own site, in particular the janisarry band general information part I take it, this is the Mehterbaşı: Mehterbaşı is the person responsible for the performance of the mehter as the second highest authority following the company commander titled Çorbacıbaşı. He prepares the mehter to the utmost in musical terms. To that end, he prepares daily exercise programs and attends joint exercises ('meşk's). In these exercises he combines the work that the groups of musicians prepared by themselves to make a joint concert program. The performance of the Mehteran Company concerts, their organization and order, additionally, the selection of the performers is the responsibility of the mehterbaşı.